Traditional vs. Recognition Loyalty Programs: What’s the Difference? Resources > Articles	> Traditional vs. Recognition Loyalty Program: What’s the Difference? Traditional vs. Recognition Loyalty Program: What’s the Difference? Repeat purchases are the lifeblood of retail: this is a universal truth in customer retention. Really, repeat customers are 130% more valuable than first-time buyers, and they are responsible for generating 40% of revenue according to statistics from Retail Customer Experience. However, engaging modern customers with a traditional loyalty program is becoming increasingly difficult, which has led many outlets to abandon their programs altogether. With 20 years of experience in CRM under my belt, I’m confident that loyalty programs are effective customer retention tools when implemented with the right mindset. 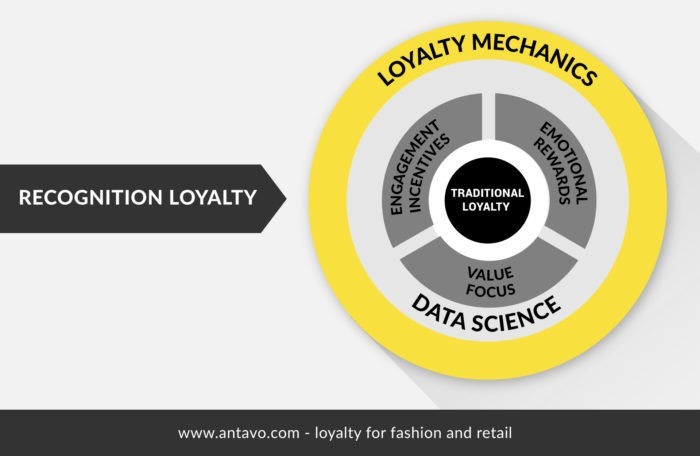 However, you need to understand why traditional loyalty programs (or Loyalty 1.0) won’t cut it anymore, and why it’s absolutely pivotal to find a solution that helps you move beyond discounting and engage customers outside the buying cycle. Originally, Loyalty 1.0 was a great differentiator in the age when the internet was less widespread. At the time, information and products available to the public were more limited. On top of that, people seemed to have longer attention spans, and the global economy was much less tangible for consumers. Just think about it: 10 years ago AliExpress didn’t even exist. At that time people based their decisions on how much value they got for their money. In that sense, loyalty programs helped to reduce the cost of discounting and essentially functioned as a cheap currency. Once companies realised the potential of earn & burn style loyalty, suddenly everyone wanted to have their own program, which proved to be detrimental to the concept. Once customers had their wallets chock full of different loyalty cards, they were no longer interested in going out of their way to shop at a particular store just to earn points. 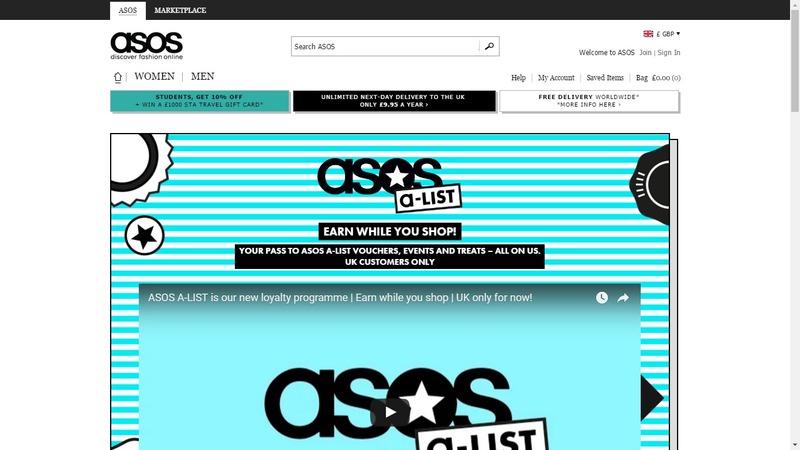 A-List, the earn & burn style loyalty program of ASOS was deemed unsuccessful by the company, despite its popularity. This illustrates that financial incentives are often essential to get customer buy-in, but no longer sufficient to change customer behaviour. Oversaturation wasn’t the only issue with Loyalty 1.0. Customer priorities have changed drastically over the years. Millennials in particular seek instant gratification and 44% of them stated that experiences are more important to them than possessions. 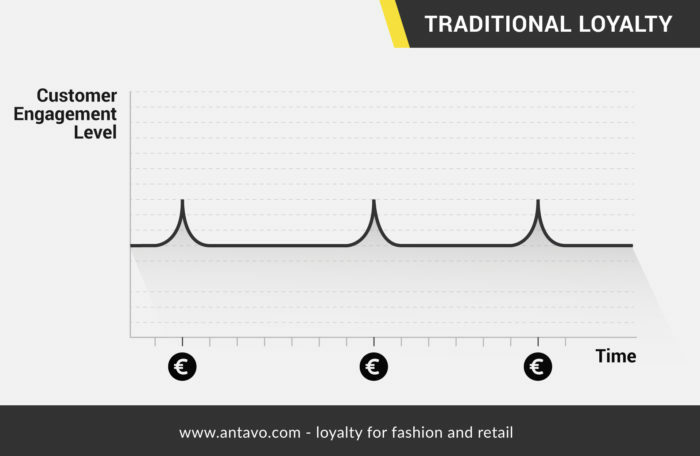 That’s why loyalty programs that focus on financial rewards are quickly losing relevance in customers’ eyes. Naturally, this was very annoying for members who were already invested in the program and eventually they became less engaged. As these programs became less effective over time, many of them tried to stay profitable by reducing redemption rates, leading to the introduction of point expiration and a drop in the value of points, which accelerated the downward spiral. If you are running a loyalty program and trying to reduce usage and participation – something is wrong. People get frustrated when companies define loyalty solely on how much money they’re spending. Similarly, points, tiers and financial rewards alone aren’t strong enough incentives anymore – loyalty programs need something more. 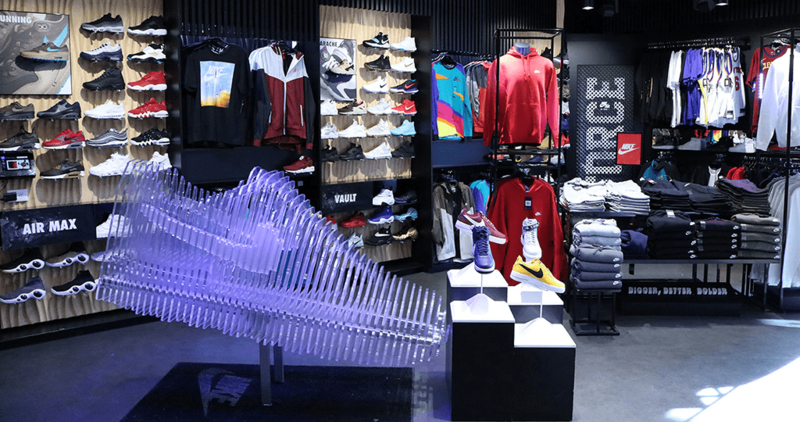 Streetwear retailer Jimmy Jazz offers a truly unique experience at its Harlem store, giving them the upper hand over their ecommerce-focused competition. The feeling that there’s a need to evolve from the old school loyalty model is quite prevalent today, but there’s an ongoing debate about which direction to take customer retention. Some believe that mobile passes are the future, while others advocate for creating an emotional bond with shoppers. The most common argument is undoubtedly to move beyond rewarding transaction and offer customers experiential rewards. None of these ideas is wrong, yet all of them will fall short in isolation. In order to engage today’s hyper-aware customers, you need a loyalty program that unifies all the current best practices under one umbrella. And that’s Recognition Loyalty™. The winning concept of a modern loyalty program is not to discard the traditional concept altogether, but to build on it with new features. In this video I introduce five ways that could make your program successful. 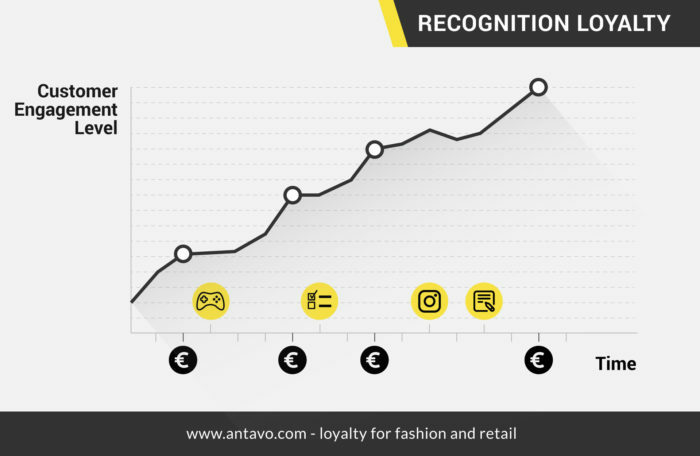 What is a Recognition Loyalty Program? We created the framework of Recognition Loyalty to respond to the customer’s need for something that truly resonates with their personality, because long-lasting brand love is based on aligned values. The concept has been developed using the latest technological insights, behavioural science and corporate strategies. What are the 5 new pillars of recognition loyalty? Customers who engage with a Recognition Loyalty program are recognised in more than one way – hence the name – which provides a different experience for each and every one of them. This is important, as it prevents the program from losing its relevance over time. Recognition Loyalty works because it doesn’t get rid of the concept of traditional loyalty completely. It enhances the concept by adding new layers, to ensure we can once again change customer behaviour. The biggest drawback of traditional loyalty is that it only rewards customers when a transaction takes place. This severely limits your opportunities to deliver an emotional high. The customer journey of an earn & burn style campaign is mostly uneventful for members, with occasional spikes of excitement when they “spend a dollar and earn a point”. However, these events are too few and far between to keep people engaged. When you recognise the members of your loyalty programs for a variety of interactions – not just transaction-related – they will feel good about your brand far more often. This includes when they promote the brand on social media, write reviews about their favorite products, take a product-related quiz, or refer a friend. Also, you can engage customers in everyday activities, such as going for a run in their new shoes or wearing clothing items with smart tags in them. Recognition Loyalty still rewards purchases, but all the opportunities in between help customers feel closer to your brand on an emotional level. …but actually not that hard to understand. Let us help you apply this to your business with hands-on inspiration. We humans aren’t inherently loyal and we’re pretty easily wooed by the more attractive option. This represents an opportunity, however, if it’s your brand that acts first by offering customers exceptional experiences. In some cases, you’ll be able to deliver an emotional high with a simple gesture. Surprise & Delight, for example, helps you recognise customers when they least expect it. Members will long remember receiving a personalised email right before their birthday. Recognition Loyalty provides the framework to create a program that resonates with your customers’ preferences, passions and beliefs. For example, you can build advocacy by rewarding customers who donate used clothes at your store, which also has a positive effect on footfall. Aligning the loyalty program’s structure with your brand identity helps to highlight your core message as well. Integrating Fitbit to reward customers for tracking their weekly exercise would be received positively in a community centered around an active lifestyle, therefore it’s highly encouraged for retailers specialising in athletic footwear, sportswear or activewear. You can acknowledge people for going out for a run, and ensure that they are rewarded in your stores afterward. Being part of your customers’ everyday life presents a great opportunity to tap into their lifestyle and reward them in the moment, which strengthens their emotional bond with your brand. Tapping into the lives of customer gives puts a fresh new take on the concept of omnichannel, too. Before we thought of omnichannel loyalty as the seamless combination on in-store + online and mobile, but we’ve since added another element: daily life – all those moments when customers are just being people. 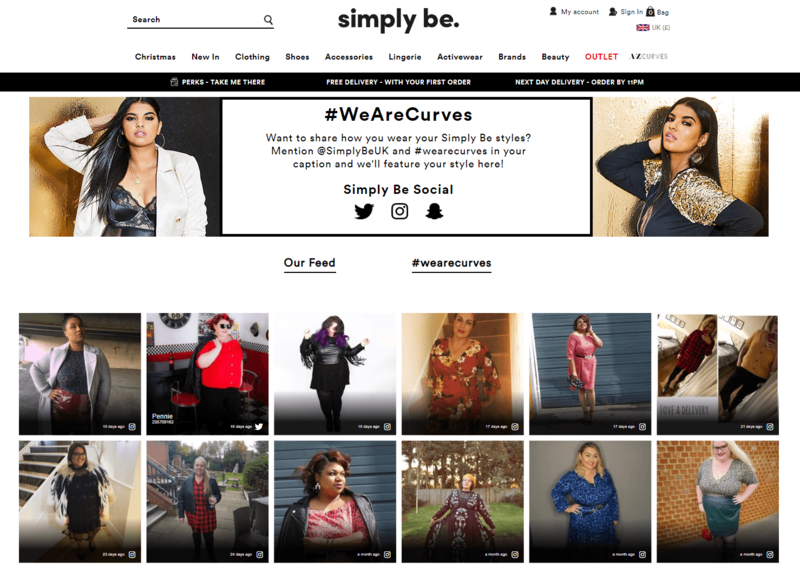 Women’s fashion brand SimplyBe promotes a body-positive message for its customers through various means, its Instagram campaign being just one example. This also drives engagement on social media. Personalisation is the holy grail for CRM teams: everyone is aware of its power, but very few are skilled enough to truly use it. To do it well, you must harness the power of customer data. After all if you don’t know your customers well, how will you be able to personalise their journeys? Sometimes called ‘Single Customer View’, sometimes ‘Unified Customer Profile’ – what matters is that every touchpoint with your customer needs to be recorded and connected using a common identifier, such as the loyalty membership ID. A loyalty program allows you to collect much more customer data, because you have given the members a reason to identify themselves at every interaction, not just when they buy something. And because a great loyalty program is always omni-channel, that makes it easy and intuitive for customers to identify themselves. I often get asked about the difference between data and information – I think of as a simple recipe. Data are the ingredients and information is the meal. To make your customer data valuable and actionable they need to be turned into models, algorithms and scores – information that you can act upon. Only when we know what a customer preference is and how it changes over time can we make recommendations that the customer will appreciate. Take the example of flight bookings – when I travel for business, time is much more important than price, but this changes when I fly for pleasure. Data will only tell you this once it has been processed. This is where the magic visibly happens: turning the information we created into personalised experiences and relevant communication. To do this you must have both the technology to deliver the right content in the right moment (like push messaging from a loyalty app), and logic that chooses the right message at the right time – say, picking an offer over a service message, because the member has just entered a store. Just remember that this will never work if you haven’t laid the right foundations. I know that this might sound complicated. That’s why we hold seminars and workshops about customer loyalty and data on a regular basis and in multiple locations including London, Milan, Berlin and Paris. Sometimes these event are for free, sometimes paid. If you’d like to join us, sign up here to be notified of our upcoming events. Even if you have the data and the technology, personalisation can still be a challenge because of the lack of content. In this video I discuss the potential answers to the issue with Zsuzsa Kecsmar, CMO and Co-founder of Antavo. The final element of Recognition Loyalty focuses on the mechanics that ensure you reward the behaviour you actually seek. Gamification – This is a strategy to keep customers engaged and to motivate them to spend more time and effort interacting with the loyalty program. FOMO (Fear of missing out) – Drive immediate action by creating a sense of urgency or scarcity, such as a special loyalty club giving members exclusive access to limited items. The LuisaViaRoma Sneakers Club is a good example of how this can look in practice. Loss Aversion – Using loyalty tiers with attached benefits can inspire action to maintain the status quo. Tiers and entitlements even allow for the creation of loyalty programs without points, as we often see in the luxury category. IKEA effect – The longer it takes to assemble together the furniture you bought from IKEA, the more you’ll love it. The more effort people put into their loyalty membership, the stronger your relationship will be. And strong relationships are harder to break up. Also, members who have advanced in the program are more inclined to enter special interest groups or fill out surveys. Italian-born luxury fashion giant LuisaViaRoma based its private group on its hottest selling commodity: sneakers. 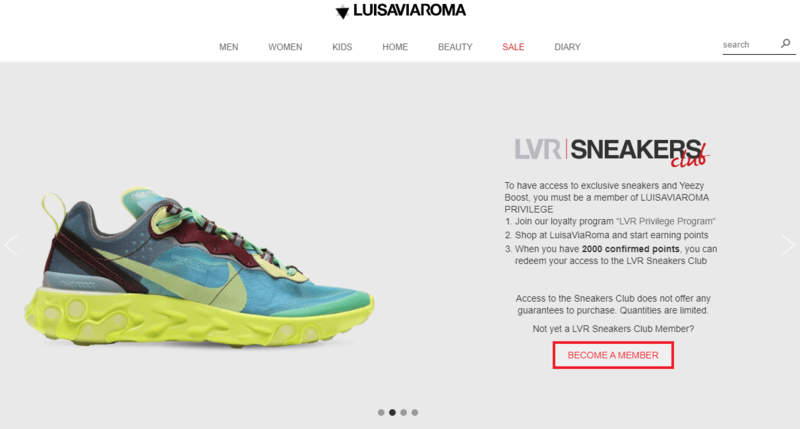 The LVR Sneakers Club increases scarcity and the desirability of their products in the customer’s eye, prompting them to earn and redeem 2000 points to become a member. The concepts of customer retention, loyalty and engagement continue to evolve alongside the ever-changing needs and desires of the shopper. This means that new features and ideas will eventually surface to help companies bond with consumers. 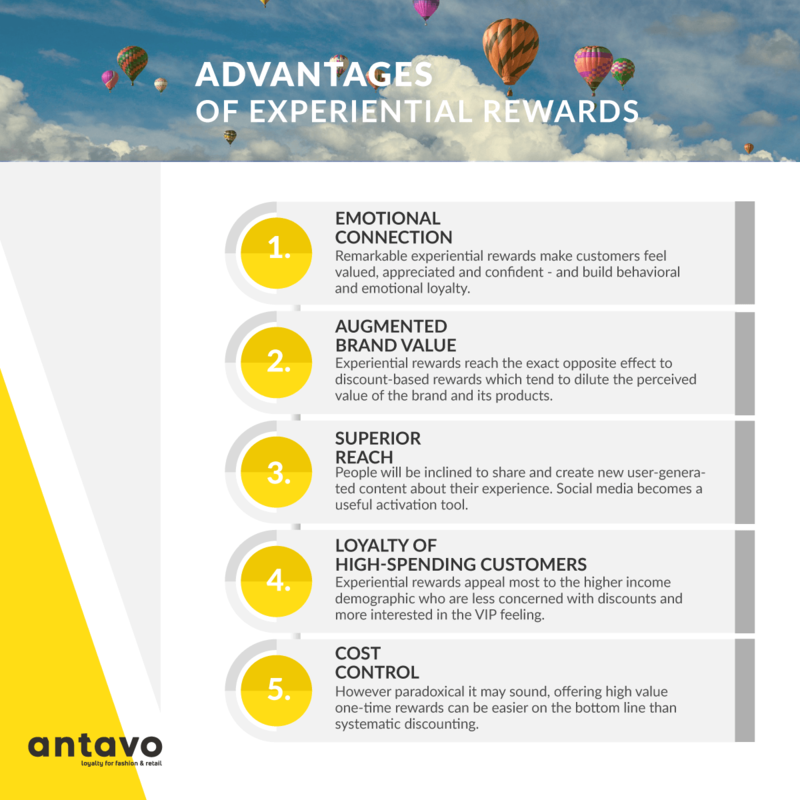 Still, I believe that the basic foundation of Recognition Loyalty Programs are timeless enough to keep the loyalty programs offered by Antavo unique and competitive. If you would like to hear more about the full capabilities of Recognition Loyalty Programs, we would be more than happy to give you a tour. Jörn is the VP of Strategy & Insight at Antavo. He has over 20 years of experience regarding customer retention and loyalty, and he's the driving force when it comes to thought leadership. Jörn holds webinars and educational sessions all over the world. If you are looking for a future-proof loyalty concept, then you definitely want to pick his brain.